In a small pot, on medium-high heat, boil the tomatoes with 2 cups of water. Remove from heat and let cool for 10 minutes. Blend the tomatoes with the chipotle peppers in adobo until completely processed. Heat the olive oil on a large frying pan on medium-high heat. Sauté onion with the bell pepper until the onion becomes translucent. Add garlic and sauté for 30 seconds. Add shrimp and cook until they turn pink. Pour tomato and chipotle mixture over shrimp, and season with salt and pepper. Reduce heat to low and let cook for 10-12 minutes or until the sauce thickens a bit. For a version that’s not as spicy, only add 1 or 2 tablespoons of the chipotle adobo. 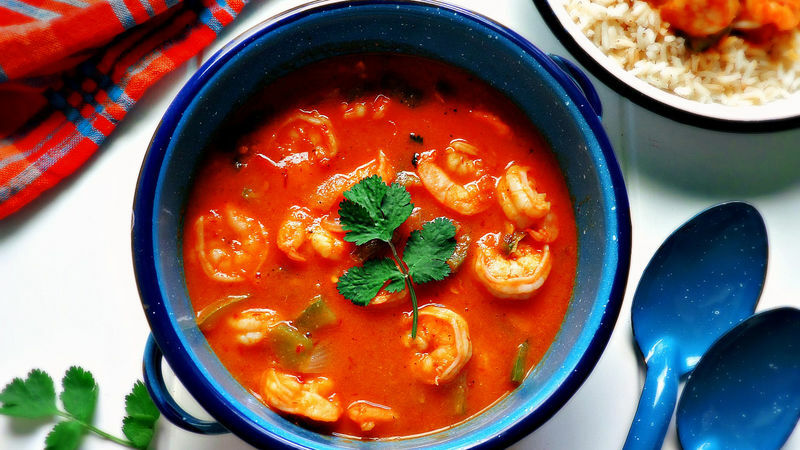 Chipotle Shrimp is a popular dish in seafood restaurants. By following this easy recipe, you too can make this dish at home. Best of all, you can have it ready in less than 30 minutes.